Your home is as unique as you are. That’s why the skilled design and building teams at D&D Carpentry work closely with you to create the home that is right for you today – and in the future. From our first meeting to the day you move in, we listen to you – to understand your goals – to ensure the highest quality and a home you will be proud of for years to come. 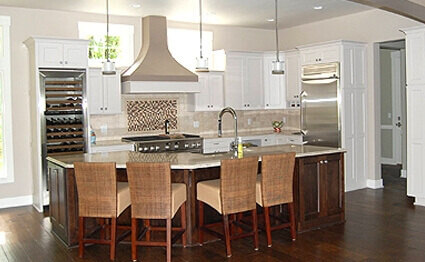 Whether you’re building your custom home, remodeling or adding to your existing property, the entire D&D team is dedicated to creating the perfect space for you and your family. D&D builds custom homes that bring years of enjoyment. And, because each custom home starts with listening and ends with quality, we help make the planning and construction journey enjoyable, as well. Add the warmth and style that can only come from a wood-burning or natural gas fireplace. Our designers help you select the right style and materials for your home and your budget. Update your kitchen and bath, finish your basement, or add on to your home. Whatever you want to do, D&D Carpentry makes it happen with results that are better than you could have imagined. From foundations to retaining walls, our skilled masons efficiently apply their craft to address interior or exterior concrete and brickwork challenges. Make a statement and find the perfect storage solution for your home with custom cabinetry. Freshen up your kitchen or reorganize your bath with new custom cabinets designed for your home and lifestyle. We know the disruption families experience when fire, water or other disasters damage a home. That’s why we work quickly and as efficiently as possible to restore your home and help you and your family return to normal. We couldn't have been happier with the quality, integrity and professionalism of D&D and their work. This is the 3rd custom home we have built and it was by far the most enjoyable process. 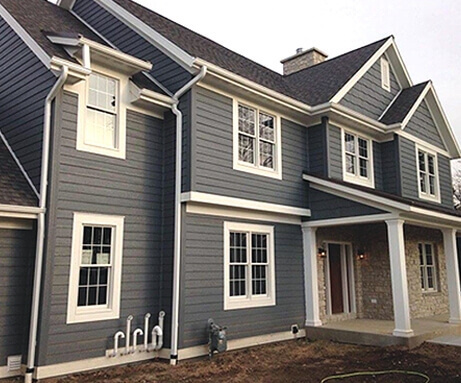 As you know building a custom home is an ever-evolving process of changes and problem solving. Your creativity, organization, attention to detail, and flexibility were key to the success of the final product.